Introducing Savannah's newest, gated community! Bluffside at Country Club Creek consists of over 20 acres of lush landscape and panoramic views of the Herb River with a community fishing pier, swimming pool, river room, community green, and playground. 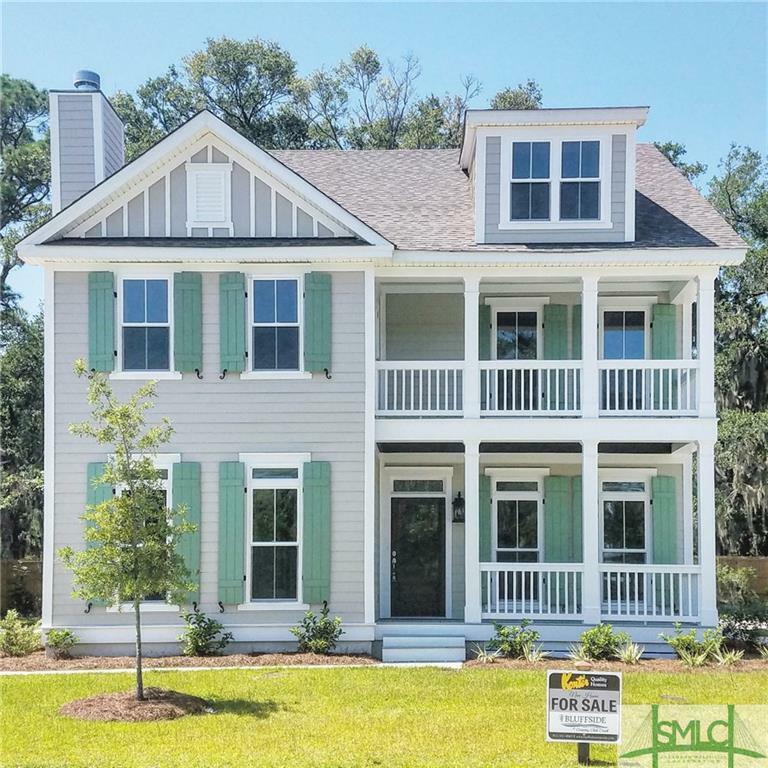 This "Sapelo" floor plan boasts 3 bedrooms with a large bonus room upstairs and an open floor plan downstairs with a separate dining room. Perfect for entertaining! See the attached brochure for the luxury features included in all homes...hardwood flooring, granite tops, chef's kitchen package, fireplace with custom wood mantle, side entry garages, Hardi board exteriors, kitchen island, architectural shingles, front porches, gas cooktop, fully landscaped yards, 2-10 Homebuyer's Warranty, and $5,000 towards closing costs with an approved lender. Listing courtesy of Suzanne Ward of Konter Realty Company. © 2019 Savannah Multi-List Corporation. All rights reserved.